How useful are the spirit lists for identifying what each spirit does? Where they are given descriptions, they are often at odds and we are left with trying to find references to the limited amounts of symbolism we are given. What I found was that some of this symbolism might be a little obscure. Vepar is a demonic spirit whose name means “Boar.” Yet the spirit lists describe him appearing as a mermaid who is a “guide of the waters” and in charge of shipping weapons and infecting wounds. What does that have to do with a boar? How does infecting wounds, so they kill people in three days become part of the remit for a spirit who guides troop ships? It is a little more possible to flesh out details when you apply decan meanings (particularly the GD ones which would give you Saturn in Taurus) but this is artificial and probably off track. The symbols do give us some clues and might point at the spirit’s source. Searching for Vepar, I came across one source which I had not thought of. 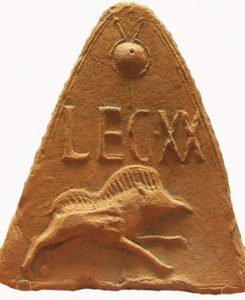 Roman Legion unit names and symbols. These unit symbols were often packed with symbols for many different reasons. 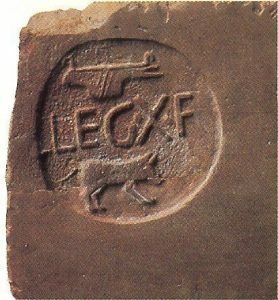 One of my researches though down the Vepar symbolism found the Legio X Fretensis (“Tenth Legion of the Strait”) was a legion of the Imperial Roman army. It got its name from a battle it won in the Strait of Messina although it also was part of the fleet that won the Battle of Actium. This Roman legion had the symbols of the bull, a ship, the god Neptune, and a boar. The Bull might be because the unit was formed when the sun was in Taurus or because it was a symbol of Venus (who was Augustus’s family spirit). Either way, we have the full set – sea, troop ship, boar, Taurus, and Venus. It also was part of the army which destroyed Jerusalem. It garrisoned the city for at least 200 years afterwards. It might be that the spirit lists had somehow demonised the Roman legion which helped destroy the “holy city” and because a symbol of a pagan boot on the throat of Jews and Christians living in the area. 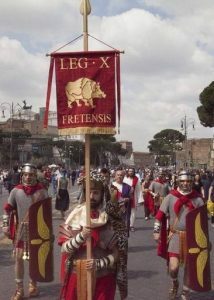 When Legio X Fretensis and the other Roman legions celebrated their victory they did so for three days, according to Josephus. Kudos! This is one of the most interesting demonology articles I have seen in years. Very interesting. Good work! However, imho you only have sea, troop ship and boar. And it could be a coincidence. Taurus and Venus are somehwat speculative, unless you can show that indeed \”the unit was formed when the sun was in Taurus\” in respect to the star movements of the last 2000 years. And I cannot see the connection to Venus at all. Is there a connection between Augustus (who btw was only adopted into the Gens Iulia by Caesar in 44 BC; The Julians indeed claimed to be descendants of the Goddess Venus through the Troyan Aeneas, known from Homer\’s Ilias and the Troyan War) or any emperor of the Julian dynasty and this particular legion? 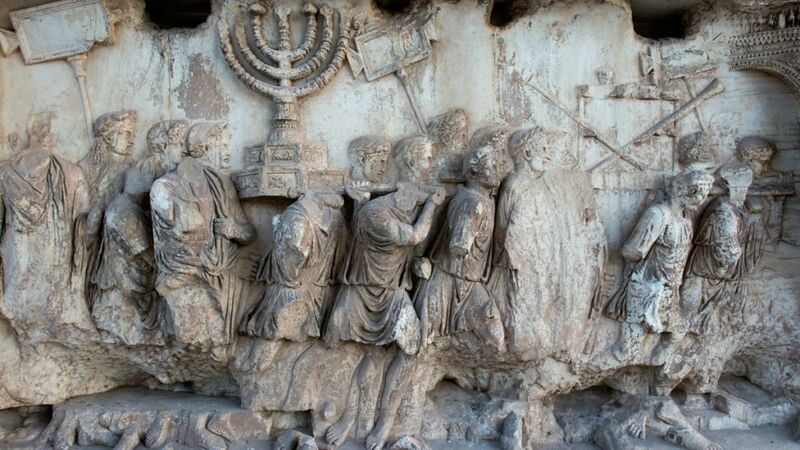 Jerusalem was destroyed by emperor Titus of the Flavian dynasty.